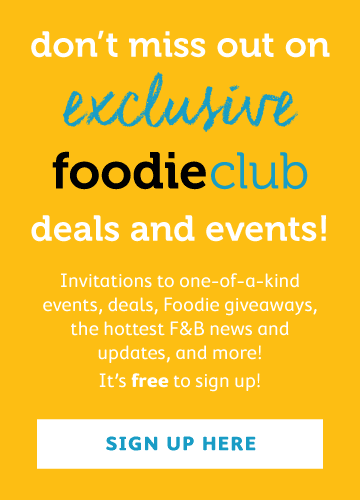 Just when you think that there couldn't possibly be another restaurant to pop up that could set itself apart from the hundreds of others, EAT.it comes along and drops itself in the foodie mecca of Causeway Bay (also known as everybody's worst nightmare on a Sunday afternoon). 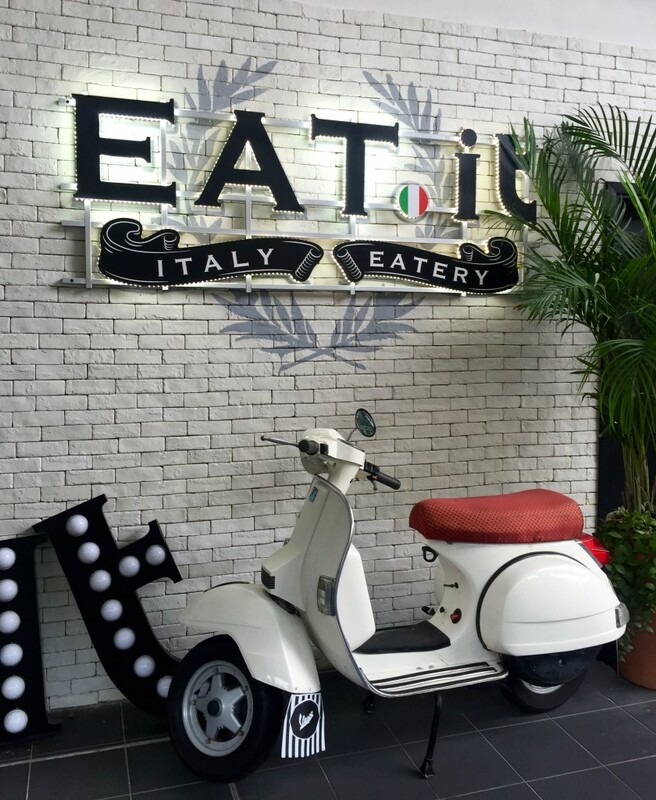 So, what exactly sets EAT.it apart from the many other Italian eateries in HK? This is the first restaurant I know of in the city that has implemented a marketplace dining concept. This dining style is reminiscent of an adult version of a university dining hall, which some people may love while others may hate it. Either way, I find marketplace dining an unpretentious and unique option for those who are looking for something different. 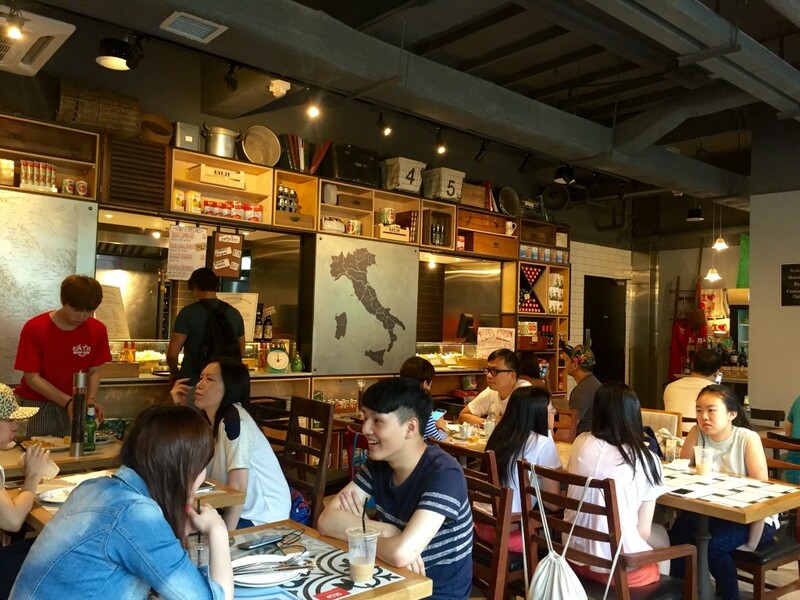 EAT.it has a wide selection of antipasti, salad, pizza, pasta, paninis, and dessert options. Most of which, you can actually see at each of their stations to help you make some difficult food decisions. 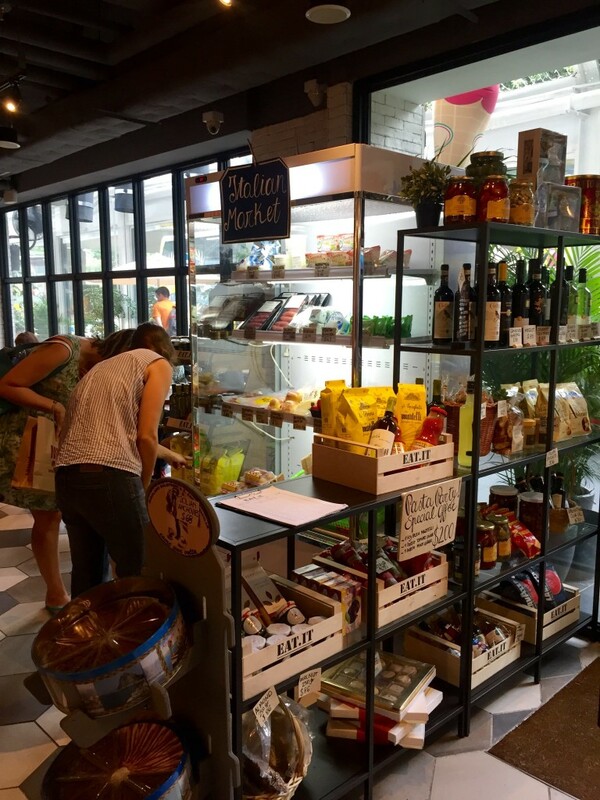 There is also an area at the front where you can purchase some of their imported goods if you're in the mood to play Italian chef for a night at home. EAT.it serves most of your typical Italian comfort food (except no gnocchi.. why is it so hard to find it in HK?!). 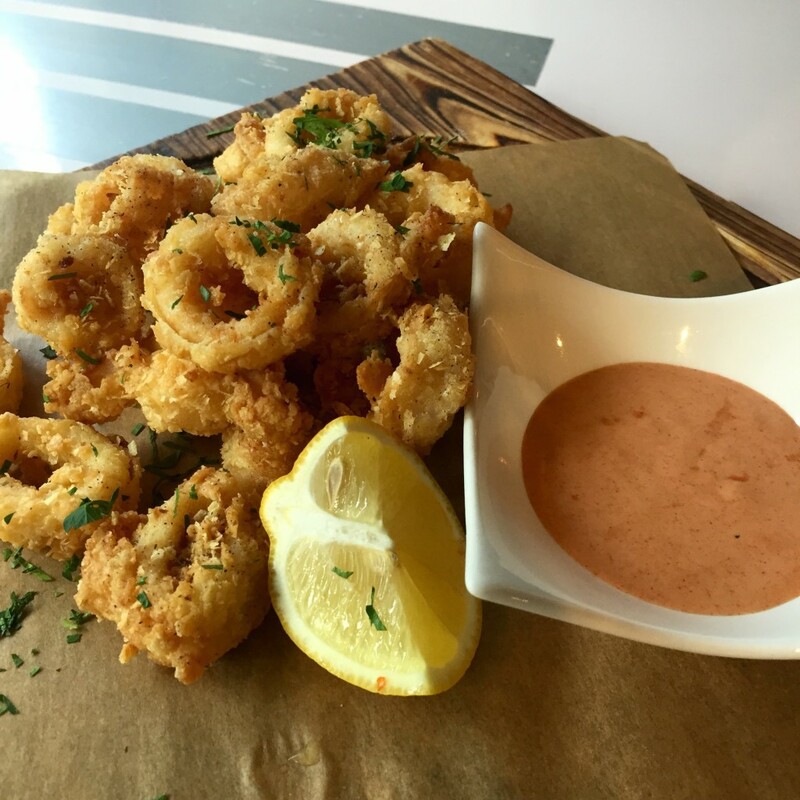 We started with calamari ($108) and rice balls with tomato sauce ($78), both of which were fried perfectly. There was a decent serving of each and the calamari was some of the better I've had in HK. 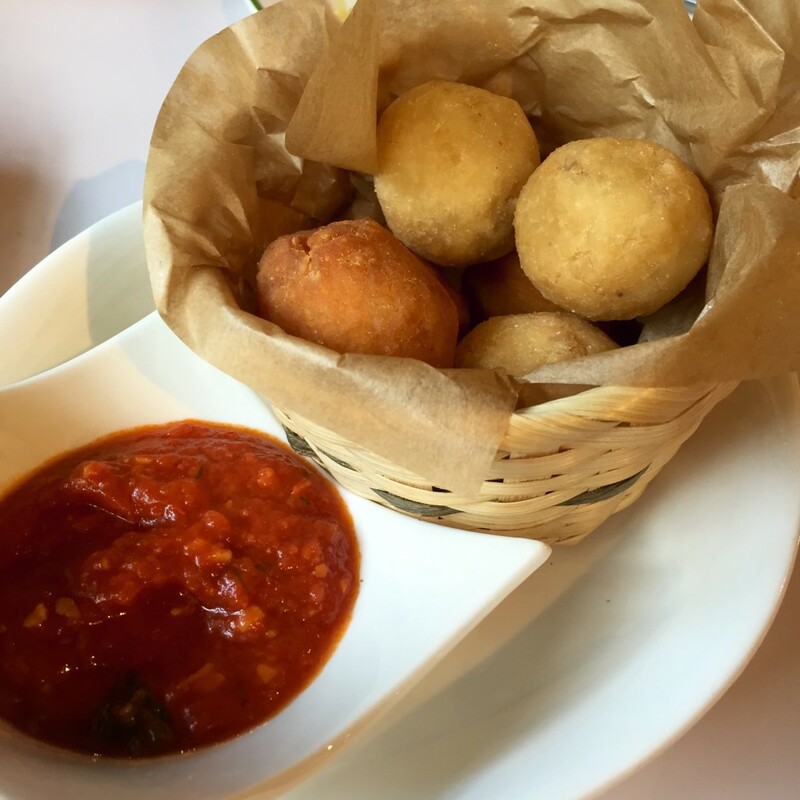 There were six rice balls; three were cheese-filled and the other three were tomato-based. 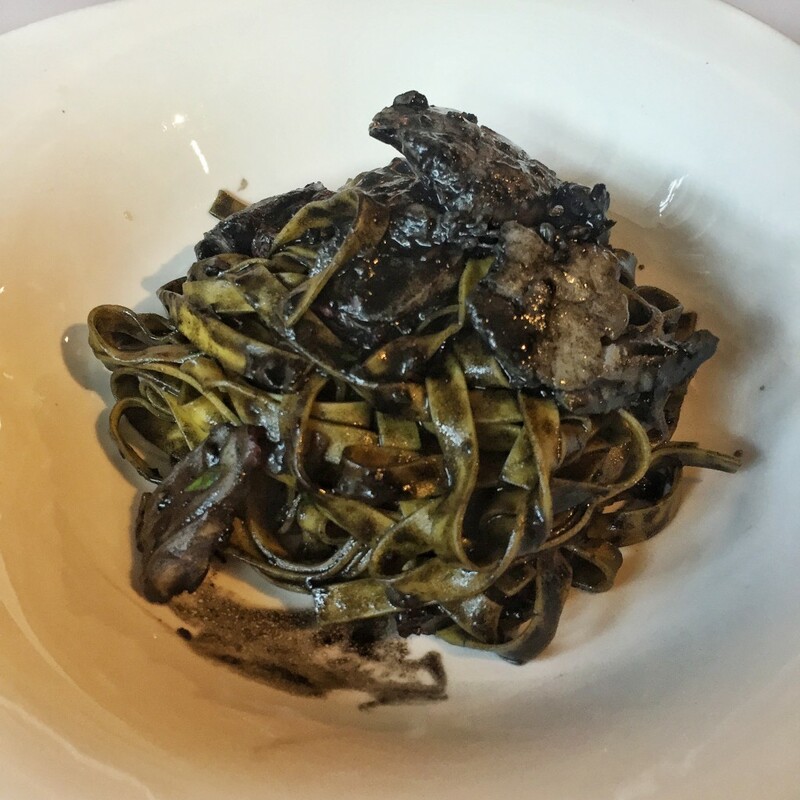 For our main dish, we opted to try the Nero de Seppa ($148) with Linguine, and Octopus and Scallops with Squid Ink. The presentation wasn't very appealing, though I suppose it's not the prettiest looking dish in general. Unfortunately, this dish lacked flavour and the scallops were very thin and piece-y. For dessert, we tried the honey cheesecake ($48) and a little cannoli ($12), accompanied by an ice coffee ($35) and an Italian hot chocolate ($48). 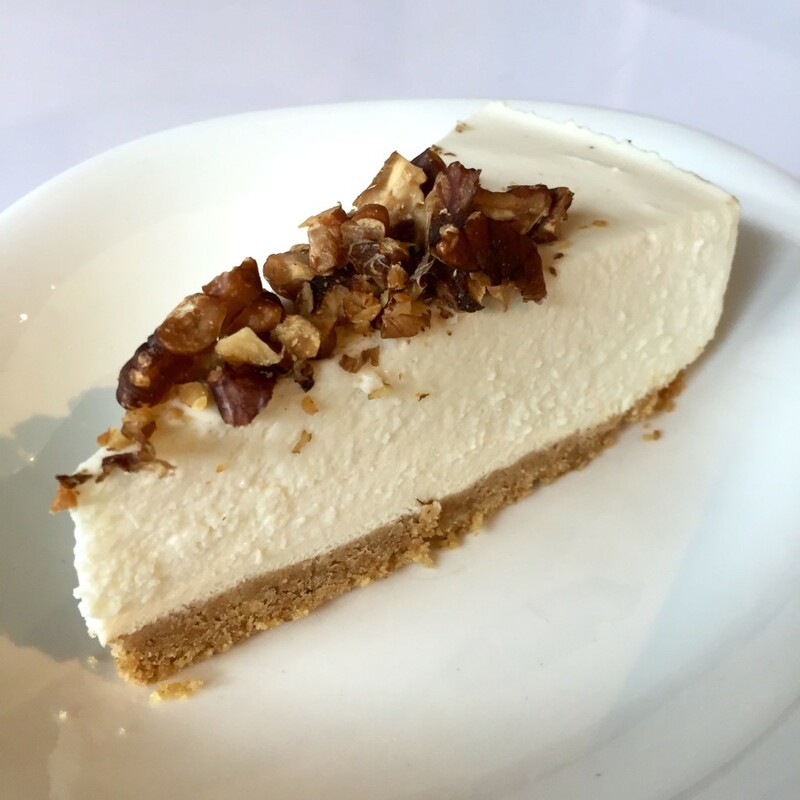 The cheesecake was really good, but unfortunately it wasn't your typical North American-style cheesecake (that thick and dense cream cheese deliciousness). Thankfully, it wasn't as bad as the "cheesecake" you find at a local bakery. This version was somewhere in between, so while it wasn't horrible by any means, it wasn't quite what we were hoping for either. 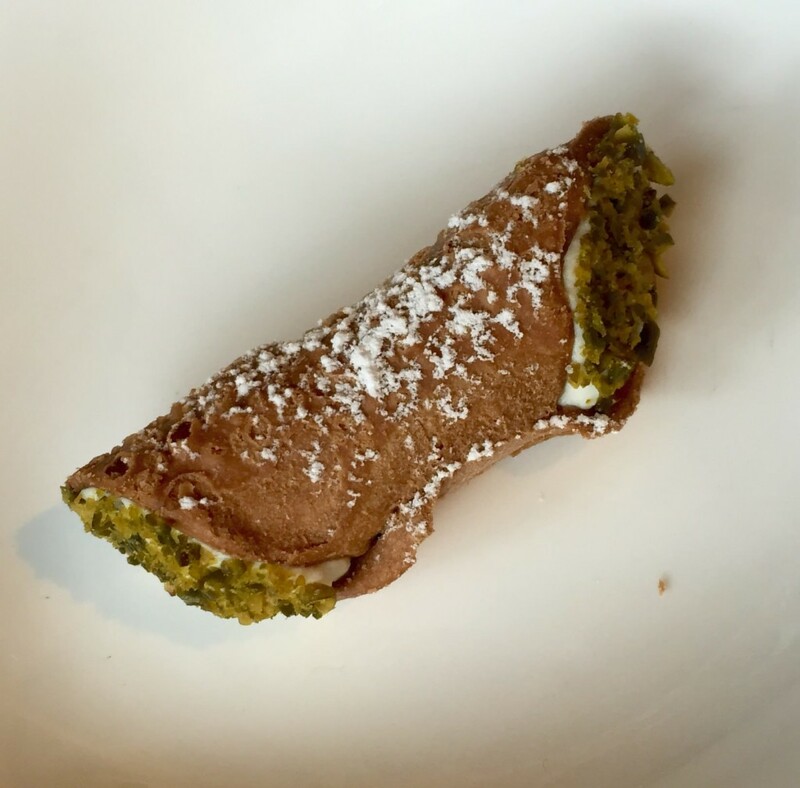 The cannoli was disappointing as well; the filling was decent, but the pastry dough tasted as though it was left in the fryer for far too long. Next time, I'll stick with the gelato. 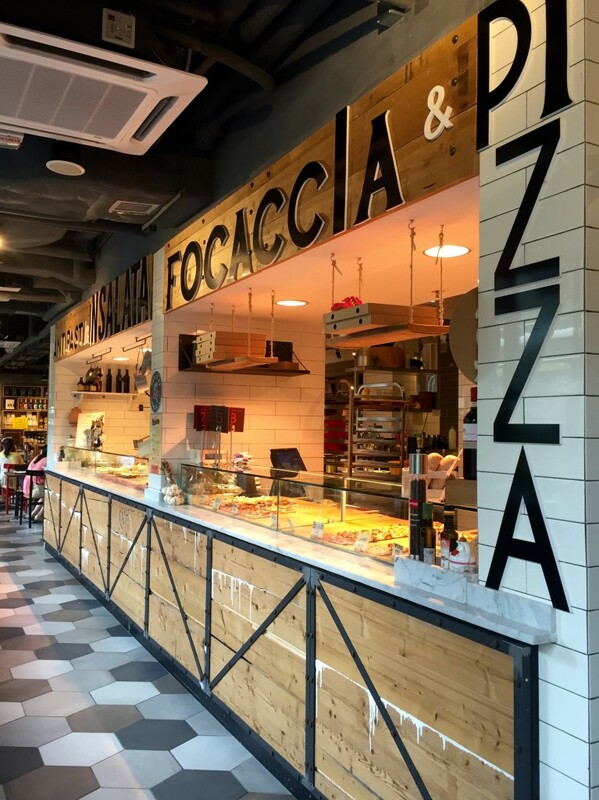 The marketplace concept of EAT.it Italian restaurant is unique in Hong Kong and offers a relaxing environment for diners who are looking for something new. Though there are room for improvements in terms of their food and service (about that tap water...), it's a good option as a casual catch-up with a friend for lunch.